Stop and think about countries you would name as having the biggest problem with waste. A 2018 Forbes article brought attention to the fact that China, Indonesia, the Philippines, Thailand, and Vietnam are responsible for the highest amounts of plastic waste getting dumped in the ocean. The Citarum River in Indonesia is known as being the most polluted river in the entire world. Given that, you likely would think of those countries as being the world’s worst electronic waste offenders. In two years, the amount of e-waste in the world increased by 8%. In 2016 alone, the amount generated was the equivalent of the weight of 4,500 Eiffel Towers. Shockingly, the countries responsible for the most electronic waste per capita are none of the countries you associate with having the most waste. You’ll notice that France, Germany, Japan, and the United States make it onto both lists. 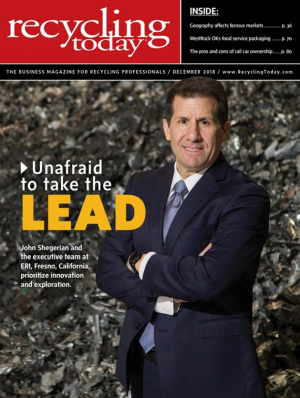 While the U.S. is making strides at recycling e-waste, it’s clear there is still work to be done. It all starts with the consumer. E-waste is the term given to electronic or electrical items that have stopped working or have become useless to you as the technology is old and outdated. Laws prevent these items from going into the trash. Instead, cities and towns across the United States recycle them. Typically, you need to bring the items to a recycling facility, though some areas do offer curbside pick-up. E-recycling is mandatory in many states. Learn more about your state’s electronics recycling laws using ERI’s E-Waste Legislation Map. When you’re finished with an electronic device, make the effort to properly dispose of it. Electronics, including light bulbs, do not go in the trash. They need to be recycled. Instead of throwing out your broken dehumidifier, you drop it off for e-recycling. You do the same with your old oven, air conditioner, modem, and MP3 player. Businesses should recycle cash registers, fax machines, and computer terminals. If you’re not sure whether or not to recycle something, you can call your local recycling facility for guidance. Do your part by making sure your electronics are recycled properly. Repairing or refurbishing used electronics for resale or charitable purposes is one step in keeping e-waste to a minimum. Recycling electronics is the other step. The components that go into electronics can be shredded, sorted, and recycled. Once the plastic, glass, and metal are processed, they can be reused to make new electronics. When you’re shopping for new household items, look at those made from recycled materials. Recycling typically will not cost you any money. States with e-waste recycling laws partner with manufacturers to ensure the manufacturers pay for recycling efforts. As long as you’re following the recycling center’s guidelines, you simply drop off your electronics or arrange to have them picked up at your home for free. ERI Direct has eight locations across the United States. Each of these electronics recycling facilities is certified. Together, they recycle over one billion pounds of electronics each year. Talk to ERI about data destruction, e-recycling, ITAD, and remarketing electronics. We’re happy to answer your questions. Fill out this form to get in touch with a specialist.